Herbs and herbal teas have many health benefits for your body. As well as boosting your strength, energy and immunity, some herbal teas are used to detoxify the liver. You may have experiencing with detoxifying your body after you have been bloated and notice the results of using an herbal tea blend. Detoxifying the liver can be just as beneficial and you will feel an increase in energy as your blood flows purely throughout your body. 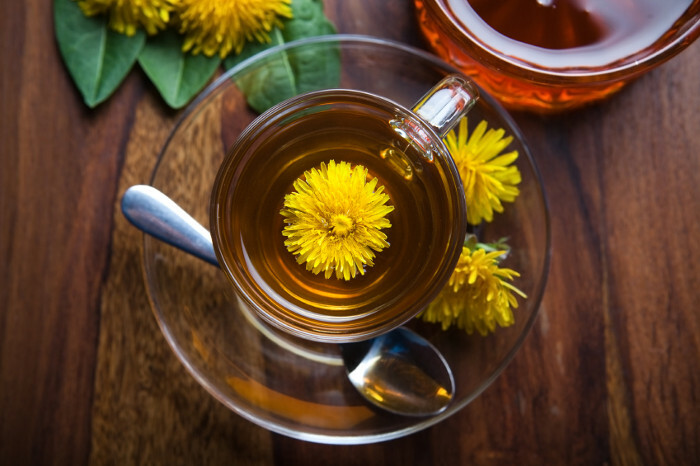 Dandelion tea, according to Shape Magazine, can be used as part of a weekend liver detoxification program. Dandelion is a natural diuretic which can instantly help you de-bloat and may also be an ingredient in other liver detoxifying teas. It has few side effects with the most common being an upset stomach and diarrhea. Excessive diarrhea is a concern, however, so use caution not to go overboard with this tea. Along with de-bloating you, the dandelion has been shown to contain liver detoxifying properties, but always speak with your physician before detoxifying. Dandelion may interact with medications such as lithium and antibiotics. Milk thistle is another ingredient you may find when searching for liver detoxifying teas. Milk thistle is useful to help you recover from liver damage from chemicals and can help to detox the liver. It is also used to improve serious liver conditions such as cirrhosis and hepatitis. It can be used to detoxify the liver and also used to protect the liver from the dangers of toxins. If you have an allergy to ragweed and other plants in that family, use caution as you may experience an allergic reaction to milk thistle. The University of Maryland Medical Center reports that green tea is also helpful in restoring the liver. You can use green tea as part of a liver detoxification program and can find quality products such as Yogi Tea to support your system. 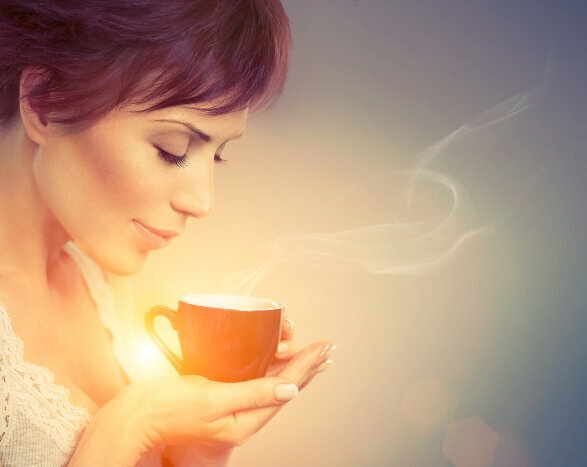 Green tea should also be used with caution as it does contain caffeine, which is a stimulant. Catechins, which are the plant chemicals in green tea appear to be the responsible ingredient for protecting and detoxifying your liver from substances such as alcohol. If you are currently suffering from a liver disorder, speak with a medical professional before beginning a liver detox program. When turmeric was given to rats, two liver detoxification enzymes, UDP glucuronyl transferase and glutathione-S-transferase, increased in their systems. Turmeric is used to make curry and is also found in mustard. It has a bitter, peppery and warm flavor and may be found as an ingredient in your liver detoxifying teas. Liver detoxifying teas cleanse your liver which promotes better health. You may also notice an improvement in kidney function as some ingredients such as burdock are made to increase urine output as well as improve liver detox. Ingredients such as dandelion will also benefit kidney function as the diuretic rids your body of excess water. Some people may attempt to cleanse and detox their systems with manufactured products such as senna. While safe for most people, this powerful laxative may cause damage to your liver. Liver detoxifying teas can help rid your body of manufactured chemicals and promote healing of your liver cells. When selecting a liver detox program, choose a time when you are able to be at home as you do not know how your body will respond to the herbs. It is beneficial to be close to a restroom to ease your worries of frequent urination or elimination. Some suggest beginning the tea at night so your body can process the herbs as you sleep. Always speak with your doctor prior to detoxifying your liver to avoid any drug interactions or unwanted effects. The Journal of Human Nutrition and Dietetics asks that you use caution with performing a detox with tea. Most of the research has been performed on animals and has shown positive results. However, always check with your physician first to determine if a liver detox with tea is appropriate for you. Then, seek out quality teas such as the Pukka Detox Tea, or Traditional Medicinals’ Roasted Dandelion Root Tea.